Yes, I know I've been awful about posting for most of this year. I've been undergoing some transitions, and I hope to rectify this deficit in the coming year. However, while not as much as I would like, I did get out to photograph quite a bit in 2016. Here is a round-up (in no particular order) of 12 of my favorite images from the year (many of them posted for the first time). 1. 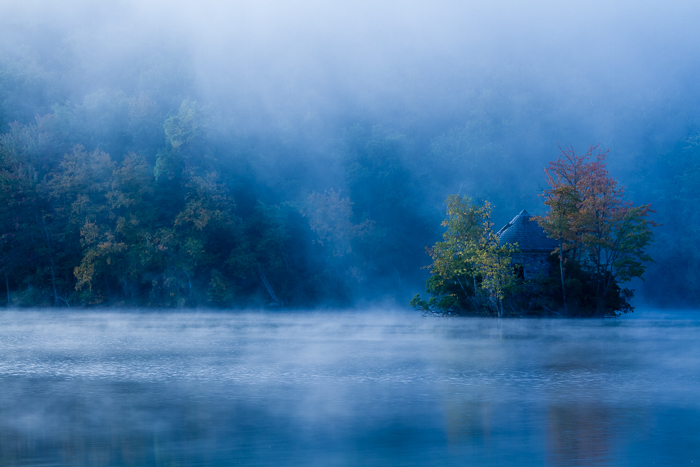 "Fall Morning, George D. Aiken Wilderness"
This year I embarked on a long-term book project called "The Smallest Wilderness" and I've started to visit some of the more local wilderness areas that qualify for the project. This fall I had the opportunity to visit the George D. Aiken Wilderness in the Green Mountains of Vermont on a pair of beautiful mid-October days. This 4800 acre federal Wilderness Area was established in 1984 and contains no trails. All travel is by bushwhacking and map/compass navigation (and/or GPS). This is one of my favorite images, taken just after sunrise, that captures the beauty and character of this unique wilderness. This year I also joined a camera club and have been competing in both the "Traditional" and "New Dimensions" categories. "New Dimensions" is not my usual mode of operation, but I wanted to continuing learning and expanding my abilities for artistic expression. 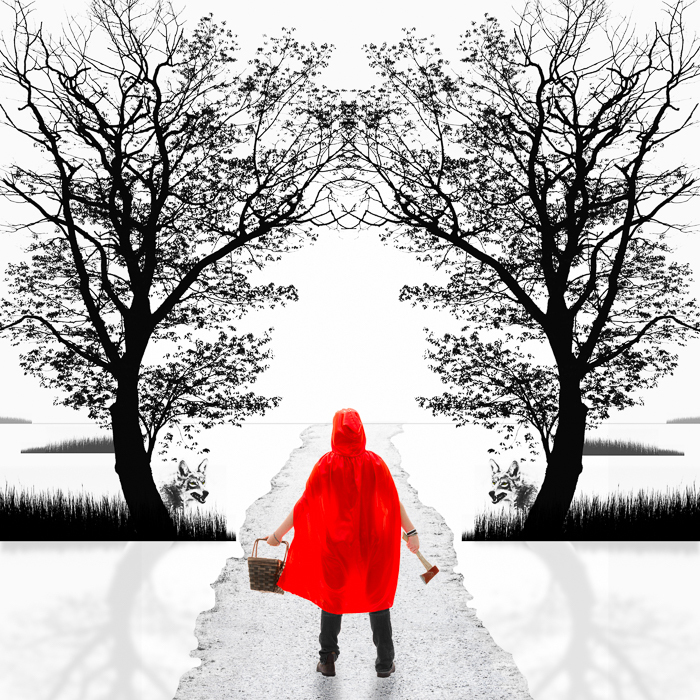 This composite is not a "nature" photograph, but I'm very happy with it and it has inspired a new body of work for me, exploring fairytale tropes from a feminist and metaphorical perspective. All the elements in this composite were derived photographically (except the horizon line). The trees and coy-wolves are from images taken in Shenandoah National Park. The grass is from an image taken in Chincoteague National Wildlife Refuge. The road is from Croton Point Park in Croton-on-Hudson, NY. And the "model" (my daughter) was photographed outside in my driveway. This quintessential rural fall scene comes from the Eleanor Roosevelt National Historic Site in Hyde Park, NY. I spent a beautiful fall morning photographing with my old friend Patty Hankins (up from Maryland). 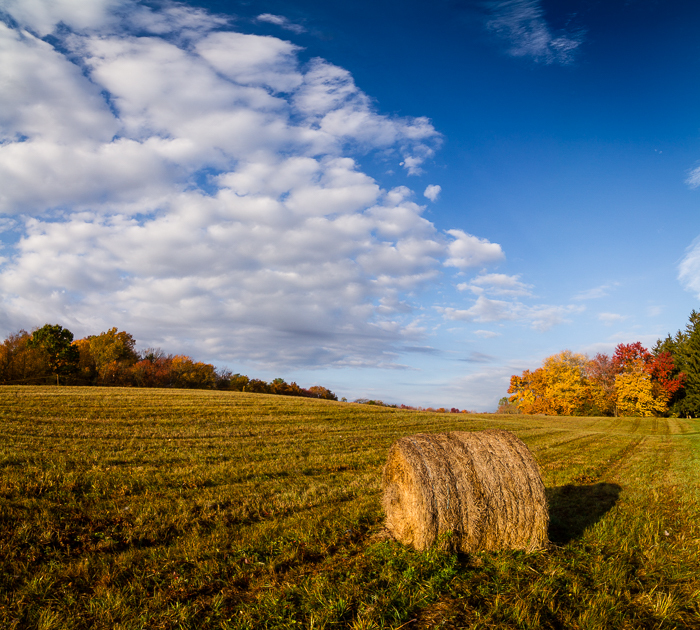 The mown field, circular hay bales, fall foliage, and lovely cloud formations made an irresistible subject. This is a two image (shot vertically) panorama. I actually captured this image as a background for another "New Dimensions" creation, but I think it works well on its own. I saw the heavy fog this morning and threw my camera gear in the car when I brought my daughter to school. Once I got to the Reservoir, I was glad I decided to give it a shot. Perfect fog conditions lasted for about an hour before completely burning off. 5. 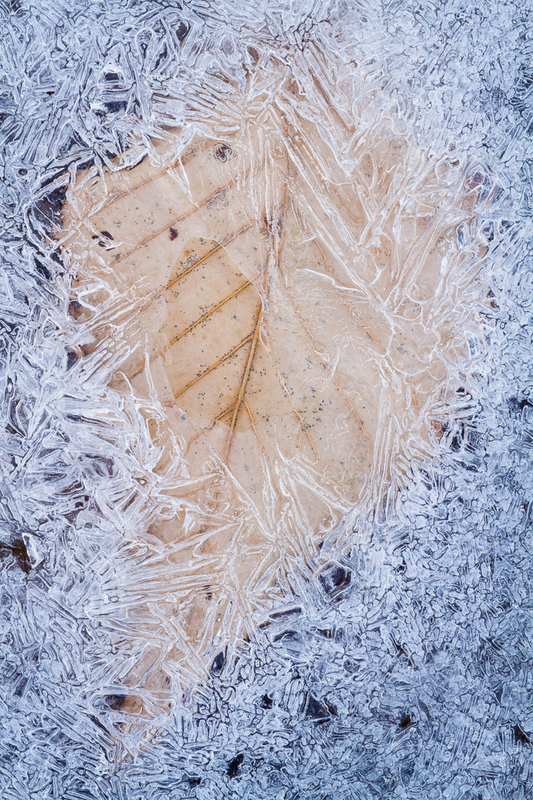 "Beech Leaf In Ice"
I'm always fascinated by the myriad of patterns formed by air bubbles, cracks, and crystal structure in ice. One of my favorite photographic subjects is the thin layers of ice that form over fast moving streams or shallow puddles in extremely cold weather. On this trip to Rockefeller State Park Preserve I went specifically looking for old fall leaves trapped in ice and I wasn't disappointed. 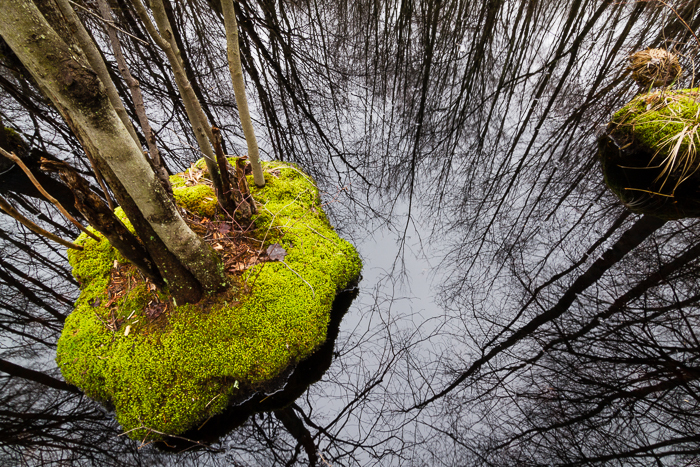 Another image from "The Smallest Wilderness" project, the Great Swamp National Wildlife Refuge Wilderness is a wonderland of 3660 acres of freshwater wetlands just 26 miles west of Times Square. It was difficult finding a way to capture the beauty of the wooded wetlands in this wilderness, without losing any semblance of artistic composition in the unruly tangles of vegetation. 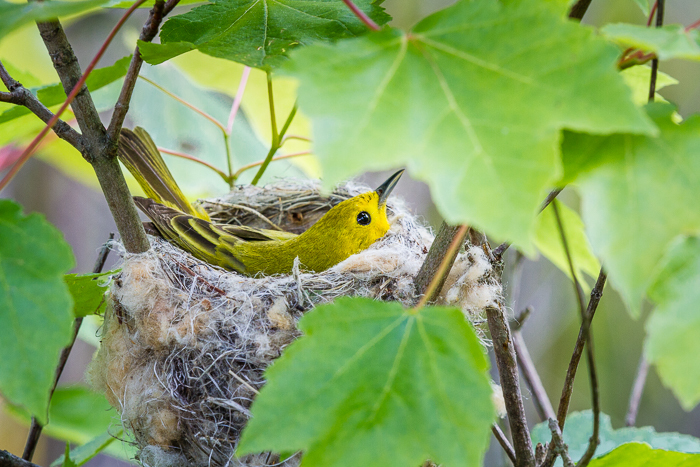 I normally don't do a lot of photographic work at bird's nests, except under very special conditions. The potential for disturbance, versus the chance for new photographic material is too great. However, this female yellow warbler built its nest right next to the busy public boardwalk at Great Swamp National Wildlife Refuge. I still did my best to reduce my presence/disturbance, but she was either going to adapt to human disturbance or the nest would fail, and anything I did was unlikely to change that. 8. 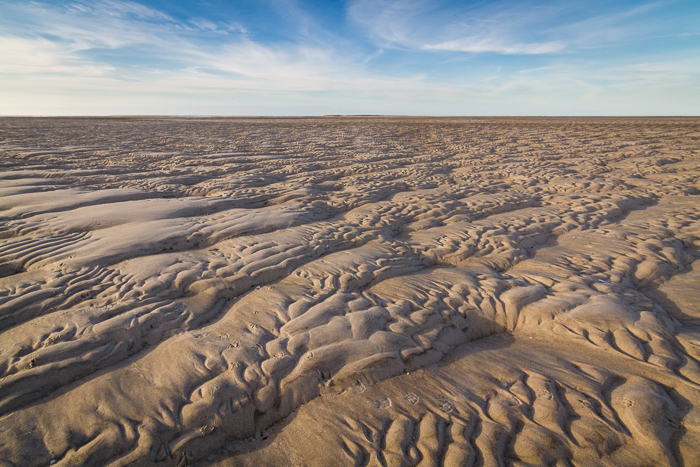 "Sand Flats, Monomoy Wilderness"
Another image from "The Smallest Wilderness" project, taken when I sea-kayaked out to North Monomoy early this fall. The knob you can barely make out in the center background is the actual island that is exposed at high tide. All the foreground is the extensive (and impressive) sand flats that surround this part of the island wilderness. Monomoy is also a National Wildlife Refuge, but all of North Monomoy and most of South Monomoy are designated federal wilderness totaling approximately 3244 constantly shifting acres. While on vacation with the family near Mt. 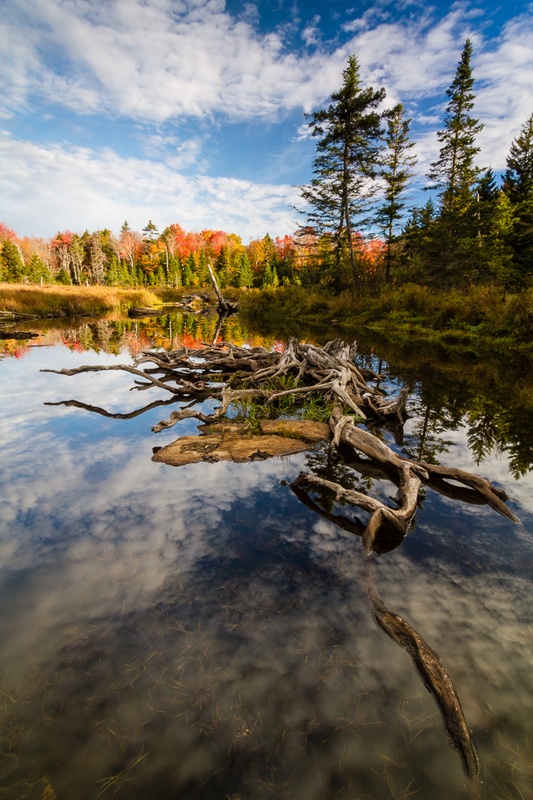 Dessert Island in ME, I was able to sneak away one morning for a little photography. 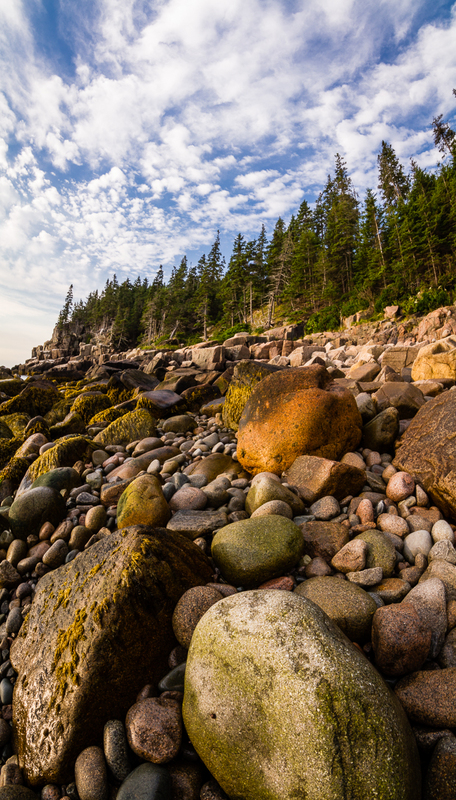 This vertical panorama was made from 5 horizontal images on the famous Boulder Beach near Otter Cliffs. Jamaica Bay National Wildlife Refuge in Queens, NY has to be one of my favorite spots to photograph shorebirds. The trail around the mudflats of East Pond gives you unprecedented access to the birds. If you lie (or even stand) still in a good spot, the birds will come to you. I've had peeps walking back and forth feeding less than two feet in front of me. They get a good diversity of species as well. 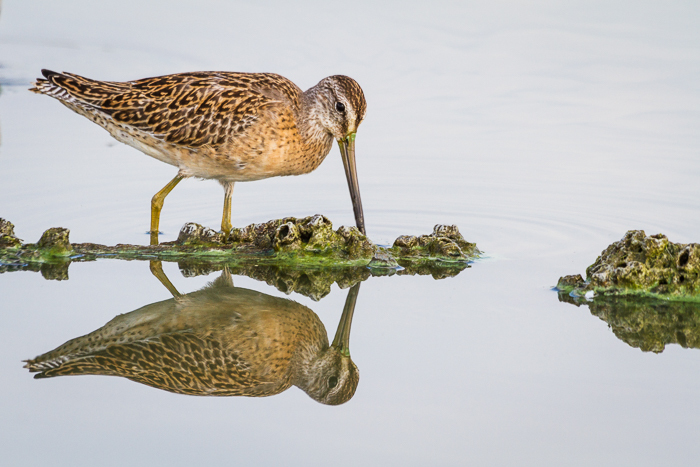 Early this fall I had a bunch of great opportunities to get spectacular images of short-billed dowitchers, in flocks and individually. 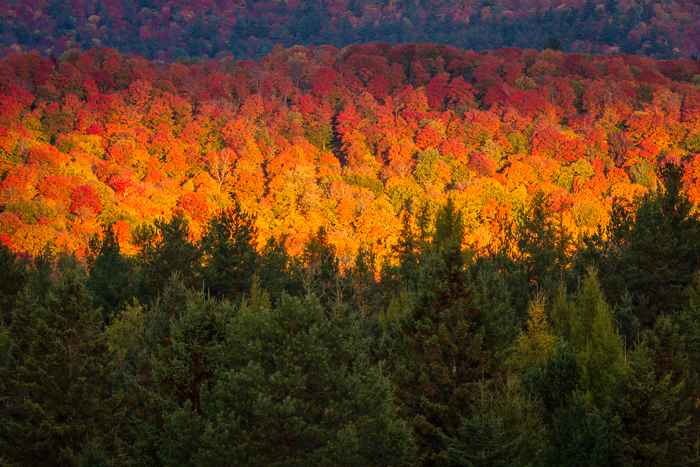 I had an opportunity to photograph the fall foliage in the Adirondack Mountains of New York this year. I came back with many fine images, but this one of the sunrise light just hitting one ridge full of peak foliage is one of my favorites. 12. "Black Skimmer In Flight"
When you first start birding (particularly if you're young) certain birds just capture your imagination. They seem so exotic and rare. The black skimmer was one of those birds for me and I still remember seeing my first one. 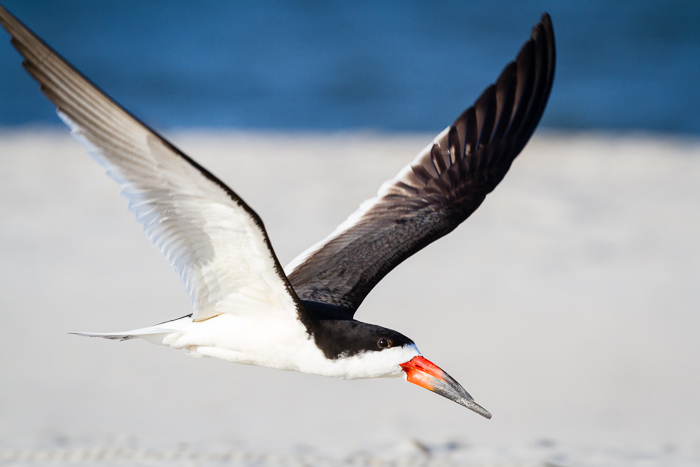 This spring I had the opportunity to enjoy some time at Nickerson Beach on Long Island which hosts a large colony of nesting common terns and black skimmers (as well as a bunch of pairs of oystercatchers). It's a fabulous place to photograph, particularly if you are packing a long lens. On this particular trip I had rented a beast of a Canon 400mm f/2.8. I might have trimmed one of the wingtips a bit in this image, but I'm still really pleased with the sharpness, framing, and even horizon of this shot, particularly when trying to handhold that behemoth lens. Well, I'm going to stop there at twelve images, one for each month, although these images aren't evenly distributed throughout the year. I tried for a breadth of images from different shoots, even though on many shoots it was really hard to make a decision because I had more than a few really good shots. I've left some great images to post later, one way or another. And I promise I will post more in the coming year. I wish all of my fans, followers, and friends Happy Holidays and best wishes for a great New Year! Your first step to a fabulous 2017 is to get outdoors more and enjoy this incredible planet and all its wild beauty.